© , Sandler, Travis & Rosenberg, P.A. Originally published in the [02/14/2019] issue of the Sandler, Travis & Rosenberg Trade Report. Reprinted by permission. 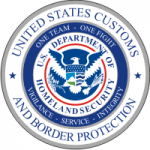 U.S. Customs and Border Protection has announced that on March 15 it will begin issuing liquidated damages claims for violations of an April 2018 rule expanding the definition of the importer security filing importer for certain types of shipments. Enforcement had originally been slated to begin Jan. 21 but was delayed due to the recent federal government shutdown. ISF importers must transmit an ISF to CBP no later than 24 hours before the cargo is laden aboard a vessel destined to the U.S. (or any time prior to lading for foreign cargo remaining on board). The ISF consists of either ten data elements for shipments of goods intended to be entered into the U.S. or delivered to a foreign-trade zone or five data elements for shipments entirely of FROB cargo or goods intended to be transported as immediate exportation or transportation and exportation in-bond shipments. Under previous regulations, the ISF importer was the party causing goods to arrive within the limits of a port in the U.S. by vessel, typically the goods’ owner, purchaser, or consignee or an agent such as a licensed customs broker. However, these regulations limited the definition of ISF importer for specified types of shipments: for FROB cargo, the ISF importer was the vessel-operating common carrier, and for IT and T&E in-bond shipments and goods to be delivered to an FTZ, the ISF importer was the party filing the IE, T&E, or FTZ documentation. As a result, CBP’s April 2018 final rule expanded the definition of ISF importer to place responsibility for filing the ISF with the party causing the goods to enter the limits of a port in the U.S. and most likely to have access to the required ISF information. Specifically, for FROB shipments the ISF importer could be a non-vessel-operating common carrier as well as a VOCC, and for IE and T&E in-bond shipments and goods to be delivered to an FTZ the ISF importer could be the goods’ owner, purchaser, consignee, or agent (e.g., a licensed customs broker, carrier, or NVOCC).